This week, the Center for Medicare Advocacy’s founder and executive director, Judith Stein, was invited to speak before a House Policy and Steering Committee at a forum on Medicare to voice the concerns of beneficiaries and their families about the Ryan Medicare plan. Speaking alongside a health economist, a veteran medical provider, and a teacher whose family relies on Medicare and Medicaid for critical care, Ms. Stein spoke and answered questions from the Committee about the loss of coverage, higher costs, and limitations on choice that current and future beneficiaries would face under the Ryan plan. This Alert features excerpts from the testimony, as well as highlights from the subsequent Question and Answer portion of the forum. Leader Pelosi and members of the Committee, thank you for holding this important Forum and for honoring me with the opportunity to appear before you. 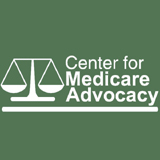 I am Judith Stein, founder and executive director of the Center for Medicare Advocacy, Inc. Founded in 1986, the Center is a national, nonprofit, nonpartisan organization headquartered in Connecticut and Washington, DC, with offices around the country. I have been representing Medicare beneficiaries since 1976. My organization has represented tens of thousands of Medicare beneficiaries − more, I believe, than any other organization in the country. I know the value of Medicare, and its challenges as well as anyone. Medicare was enacted in 1965 because private insurance failed older people. For over 47 years, Medicare has provided guaranteed benefits that have enhanced health security and financial stability when people need it most – when they are older or disabled and also sick or injured. It has been so successful that this population is now almost uniformly insured − although only 50% of people 65 or older were insured when Medicare began. I’ve seen Medicare coverage save lives and bring peace of mind to families. I also know how Medicare has changed since I began my work representing Medicare beneficiaries. While coverage has been enhanced over the years, Medicare has also become ever more complex and difficult to navigate as private plan options have been introduced, swarmed in and out, and premiums have been income-based. While we are regularly told that “one-size fits all” does not serve people well, this was simply not the case for the traditional Medicare program. In fact, for decades the guaranteed, universal Medicare program fit most very well. Today, the myriad Medicare choices, complex decision-making, and plan variations baffle many, often leading to inertia, and poor planning. Many people simply do not choose at all, and those who do, often stick with their initial choice, even as their plan offerings and their health needs change. Further, most people want choice of doctors, hospitals, and other health care providers, not insurance plans. Ironically, private Medicare plans reduce physician and health care provider choices far more than the traditional program. The certitude that competition in the private market will reduce Medicare costs is belied by past experience and numerous studies. As former Medicare and Medicaid Administrator Bruce Vladeck has said, “private plans have not saved Medicare a nickel.” When the private Medicare+Choice program was tried under Mr. Vladeck’s leadership, Medicare paid private plans 95% of what it cost to cover a similar beneficiary in traditional Medicare. The idea was to test the truth of the belief that private plans could provide health insurance more cost-effectively than traditional Medicare. While dozens of private plans entered the Medicare market, they left in droves when it became clear they could not, in fact, compete with traditional Medicare. In 2003, Congress authorized the Medicare Advantage program, which paid private plans approximately 14% more than the traditional Medicare per beneficiary cost. Not surprisingly, private plans reentered the market, but at a terrible cost to the Medicare program, all beneficiaries, and taxpayers. The Congressional Budget Office estimated that these payments would amount to $150 billion over a ten-year period. Further, if traditional Medicare is forced to compete with private insurance, private plans will work to minimize their spending and woo the healthier, least costly beneficiaries. If older, more vulnerable, more expensive beneficiaries remain disproportionately in traditional Medicare it will not be sustainable and will wither on the vine. This increased fragmentation of Medicare and Medicare’s 49 million customers will also reduce its bargaining power, thereby limiting its ability to help drive down health care costs. Yet reducing health care costs is a key to reducing the federal deficit. Certainly Medicare could be made more financially viable. Reducing payments to private Medicare plans is one sure way to start this important effort. However, the Ryan Plan does not propose this path. Instead, its “Path to Prosperity” would increase the age of Medicare eligibility and provide individual, defined contribution vouchers to older people − gutting the community Medicare program that has ensured access to health coverage for generations. This approach would increase costs and reduce coverage for people with Medicare and their families. Yet, according to the Kaiser Family Foundation, about half of people with Medicare live on incomes of $22,000 or less – just under 200% of the federal poverty level. They simply can not afford the additional costs projected under the Ryan Plan, costs which are tantamount to imposing a health insurance tax on older and disabled Americans. The Ryan Plan is based on the belief that private is better. But Medicare controls health spending better than private insurance. Competition among private health insurance companies has not driven costs down either in the private Medicare Advantage program or for individual and employer-based policies for those under 65. As discussed above, Medicare has included private plans for decades, but they cost Medicare more than the same coverage under the traditional Medicare program. Medicare administrative costs are a fraction of those for private insurance. And, over the next ten years, Medicare spending is expected to grow at rates of 3.1% compared to 5% for private insurance plans. Thus, the traditional Medicare program, which the Ryan Plan would dismantle, shows greater promise for controlling costs than turning the program over to private insurance companies. One last reality check: Mr. Ryan’s plan would affect current and near-term retirees, despite promises to the contrary. The Ryan Plan would immediately repeal health care reform, which greatly improves Medicare coverage for prescriptions and preventive care, saving people with Medicare a total of about $4 billion on drugs and increasing their access to preventive care. Repealing health care reform would retract these benefits. It would also reinstate the wasteful overpayments to private Medicare Advantage plans that were rolled back by the Affordable Care Act. Since all beneficiary premiums are set as a percentage of the costs of the entire Medicare program, these overpayments would translate into higher out-of-pocket costs for everyone with Medicare. We recognize our responsibility to add constructively to the conversation. It’s fair enough for those who favor the Ryan Plan to ask, “Well what would you do?” Thus, the Center for Medicare Advocacy offers six key recommendations to keep Medicare solvent while it continues to provide fair, defined health coverage. These recommendations, unlike the Ryan Plan, do not shift costs to beneficiaries, and do not unnecessarily restructure the Medicare program. They promote choice and competition while shoring up the solvency of the Medicare Program. “Protecting” Medicare by shifting costs from the federal government to beneficiaries and their families through the creation of a private Medicare voucher system is a perversion of Medicare’s purpose. Medicare was enacted to protect older, disabled people and their families from illness and financial ruin due to health care costs. The Center for Medicare Advocacy’s recommendations promote financial solvency without doing it at the expense of beneficiaries. The Ryan Plan would enrich insurance companies while leaving beneficiaries with inadequate purchasing power in an increasingly expensive health care market. It would end Medicare and begin a new private system that would be more expensive and more costly for older and disabled people. It would limit people’s choice of physicians and health care providers. We welcome the opportunity to examine Medicare’s challenges and successes. But for the 49 million American families who rely on Medicare now, and for all those who will someday, we look for a debate based in fact not preferences. Simply stated, you can’t save Medicare by ending it. The Ryan Plan will end Medicare. For a full transcript of the testimony, see: http://www.medicareadvocacy.org/2012/10/04/cma-in-action-judith-stein-testifies-in-congress-on-the-ryan-plan-to-end-medicare/. For more information, contact executive director Judith Stein (jstein@medicareadvocacy.org) at (860) 456-7790. To stay up to date on all the Medicare myths this election season, see our “Medicare Myths and Truths” chart at: http://www.medicareadvocacy.org/medicare-facts-fiction-quick-lessons-to-combat-medicare-spin/. Ms. Stein: “The Kaiser Family Foundation tells us that about half of Medicare beneficiaries have an annual income of $22,000 a year or less. I really do think it’s no wonder the country thinks Congress is out of touch with what’s really happening in this country… . Medicare is in jeopardy and it’s for philosophical reasons, I believe. [The Ryan Plan is] simply not the most cost-effective way to do what is being proposed and it will absolutely put us back to where we were in 1965. It is a train wreck waiting to happen and we have to get people to hear that. And, yes [Congressman Larson, in answer to your earlier question,] it is personal. I’m a breast cancer survivor. I know what it’s like to be perfectly healthy one day, and the next day to be maybe, maybe dying. How can you plan for this? And how can I plan to know that I can take care of my mother and maybe my children and grandchildren. This is a personal matter. [The Ryan Plan] is a train wreck. It is not best for the people or the fiscal solvency of this country. So why is it being proposed? Because there’s a preference for privatization and fragmenting Medicare. But privatizing this system will not help older people, their families, disabled people, or the deficit. So on all points, I’m very worried about it. Q: How does the Romney/Ryan plan limit people’s choices? Ms. Stein: We need to look at what we actually know, because this is not something new. Current private plans (Medicare Advantage) and private plans in the past have all had the impact of fragmenting the risk pool. The widest network (and most effective risk pool) is traditional Medicare. As soon as you enter into a private plan you will have a limited network with a limited choice of doctors and health care options. Traditional Medicare, which, if we encouraged it for most of those with Medicare, has the best bargaining power of any health system in the country, and so it can bring down costs if we allow it (such as requiring negotiations on prescription drugs under Part D). When you fragment Medicare as we have been doing since the 1990s, you reduce the risk pool and the buying power of Medicare and thereby reduce its impact on reducing health care costs – for everyone throughout the country, not just for Medicare beneficiaries. One of the things we can do is look at this plan from past history. We already know what happens. We know that only 10% of beneficiaries in private plans make a change in their plans after they make their initial choice … it’s a mind-boggling set of options – it’s not just one or two choices. Ideally, an individual should review their plan and potentially change it every year, but only 10% do this. So what happens is that – even if you could predict what health choices you will need – and you don’t really know – most people don’t make a choice so we find that people call the Center because the choice they made is no longer effective … many people choose private plans when they are healthier and then when they are diagnosed with a disease or condition and want to see the best doctor or specialist for that disease, they find that they can not do so under their plan. If they were in traditional Medicare they could still get the care they want and need. We know from experience that private plan options in Medicare are not the best for any number of reasons, including costs and services for people. They simply do not provide as many health care options or providers as traditional Medicare does. For example, a recent study finds that less than 10% of people with Medicare Part D enroll in what would be the most cost-effective plan for them. (National Bureau of Economic Research, “Plan Selection in Medicare Part D,” (June 2012). Medicare Payment Advisory Commission (MedPAC). According to the Centers for Medicare & Medicaid Services, in 2012 Medicare Advantage plans are paid on average 7% more than similar beneficiary services would cost in traditional Medicare. Congressional Budget Office; Health Care Affairs, (9/20/2011). Kaiser Family Foundation analysis of Medicare Trustees Report 2012. Stop paying anything more to Medicare Advantage plans than to traditional Medicare. Listen to the GAO and stop all bonus payments to private Medicare plans. Start negotiating what Medicare pays for prescription drugs. Then recalculate Medicare’s fiscal solvency and begin serious discussions about Medicare’s future. Constant calls for changing Medicare into a Voucher system will simply increase privatization of Medicare. Once again we’ll give taxpayer dollars to the insurance industry, increase costs to older people, disabled people, and their familes – and do nothing to address the needs of tomorrow. Change the conversation. Insist on real solutions.